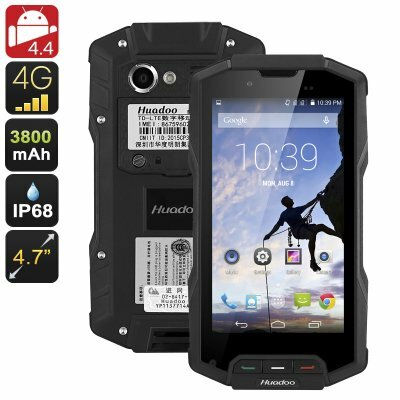 Successfully Added Huadoo HG04 Rugged Smartphone - 4G, 3800mAh Battery, Quad-Core CPU, 4.7 Inch HD Display, 13MP Camera, Dual-SIM (Black) to your Shopping Cart. Head into the wild and live the adventurous outdoor life-style you have always dreamt off – the Huadoo HG04 rugged Smartphone that is resistant to tough weather, water, dust, drops, shocks, and extreme temperatures can accompany you anywhere you go. Equipped with a Quad-core processor and 2B RAM this Smartphone is not only tough from the outside. Its powerful processor allows you to enjoy all your favorite Apps, movies, games, and more in their full prime without being interrupted by any lag. The 4.7 Inch HD display is of optimal size for giving you enough space to watch your media in amazing quality, while offering great portability. With a dual IMEI number, you will be able to stay fully connected no matter where life takes you. By having the possibility to operate two SIM cards at once the Huadoo HG04 offers you the perfect platform to easily separate work and social life. Whether you are at home or exploring the remote outback – with this rugged cell phone you will never be out of reach. This rugged phone features a substantial 3800mAh battery that provides you with a whopping 10 hours of continuous talk time and a standby time of nearly 74 hours. No longer do you have to worry about running out of battery life as this Smartphone will keep on going when most of the competition has died. With its built-in survival features including inter alia a GPS, flashlight, SOS signal, and numerous sensors this Smartphone is guaranteed to get you home safely. Its built in 13MP rear camera gives you the possibility to snap stunning HD pictures wherever you go. Sharing all your holiday memories, outdoor adventures, and road trips with loved ones has never been more exciting. With the pin sharp images that you will be able to snap with this rugged phone your friends and family will feel as if they were actually there. 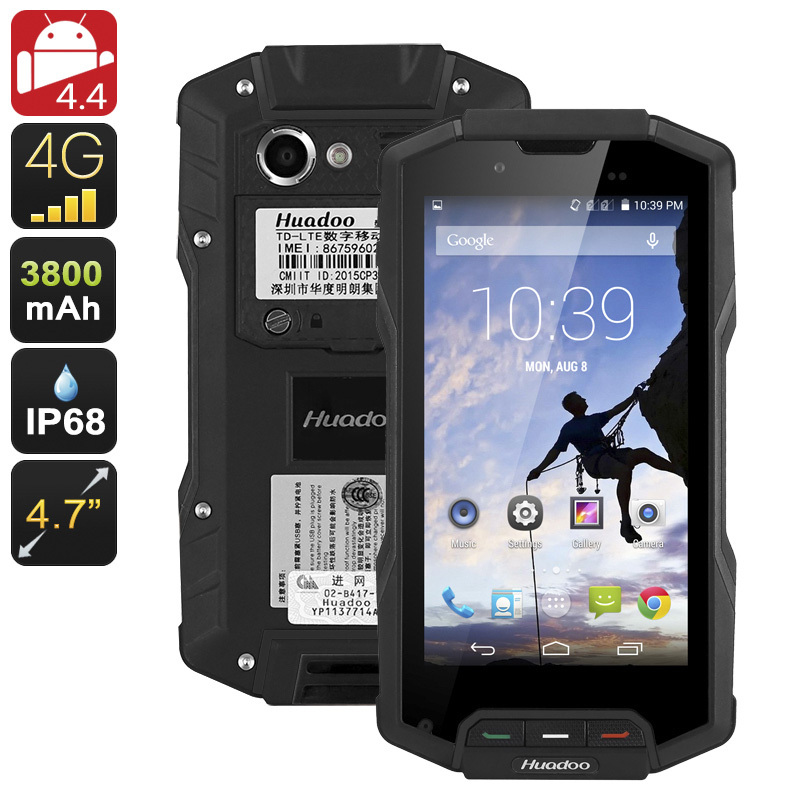 The Huadoo HG04 Rugged Android Smartphone comes with a 12 months warranty, brought to you by the leader in electronic devices as well as wholesale Android Phones..